The Ant-Man Animated Statue was digitally sculpted and carefully printed on state of the art 3D Systems 3D printers. The high-resolution prints were then used in the creation of prototypes needed to produce this animated collectible. Each animated statue is hand-cast, hand-painted, and hand-numbered with a limited edition certificate of authenticity. 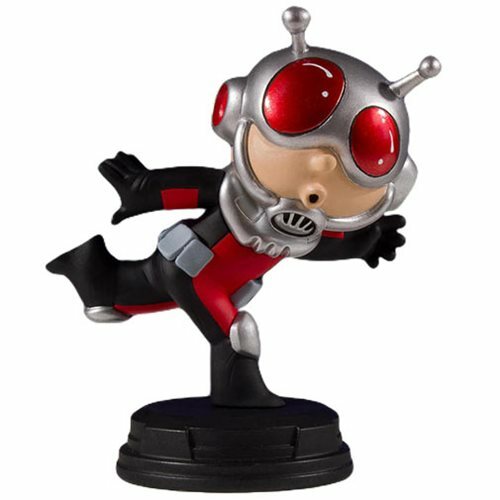 Scott Lang in is a panic and is running for his life in this charming statue that is based on the variant cover for The Astonishing Ant-Man #001. It is up to you if you want to consider him in scale with the rest of the line or if he is "actual size!"